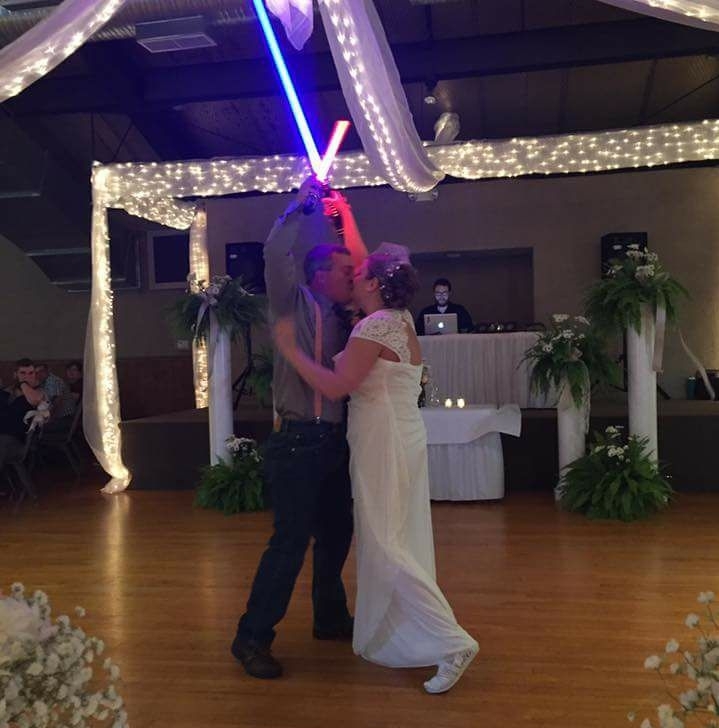 Who needs a traditional first dance, when you could have a Star Wars-themed newlywed lightsaber duel instead? That’s a question Star Wars fans Jessica and Allen Bricker surely asked themselves in advance of their May nuptials. Bricker shared a video of the battle taken in Hoagland, IN by the bride’s brother, Jeremy Williams, on Facebook and gushed. "You know your wife is amazing when she agrees to choreograph a lightsaber duel for part of your first dance!!!" You know your wife is amazing when she agrees to choreograph a lightsaber duel for part of your first dance!!! Talk about wedding goals, and wishing these newlyweds the very best!